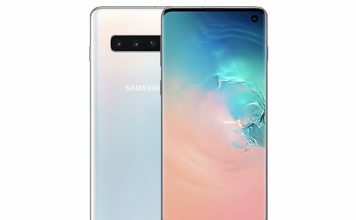 Samsung just launched its flagship duo for 2018 at the Mobile World Congress in Barcelona. 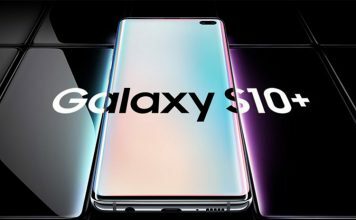 While the Galaxy S9 isn’t much of a major upgrade from the last-gen Galaxy S8, the Galaxy S9 Plus with its dual cameras is a significant bump over the Galaxy S8 Plus. 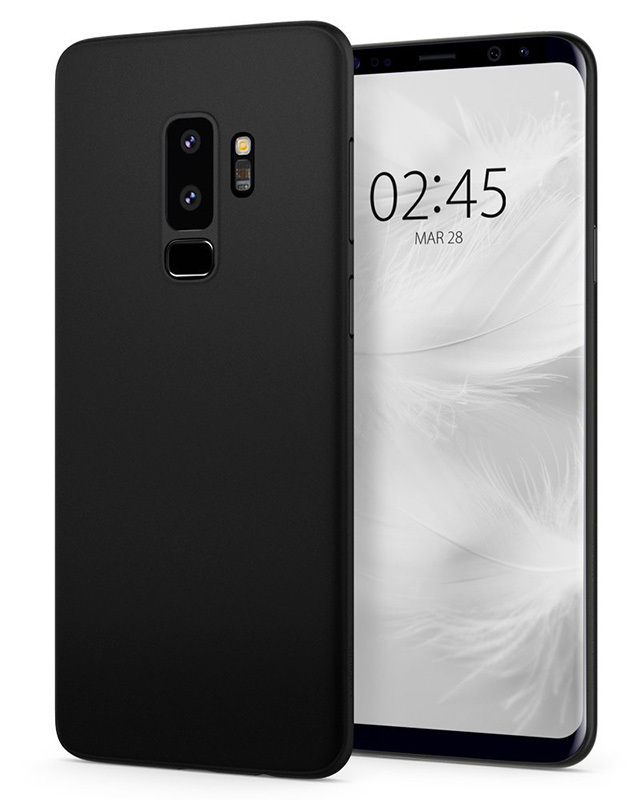 In keeping with the current trend with flagship smartphones, the Galaxy S9 Plus features a metal chassis sandwiched between Gorilla Glass on the front and back. The all-glass design not only makes the device a fingerprint magnet, but it also leaves it vulnerable to cracks and shatters even with the most delicate of drops. 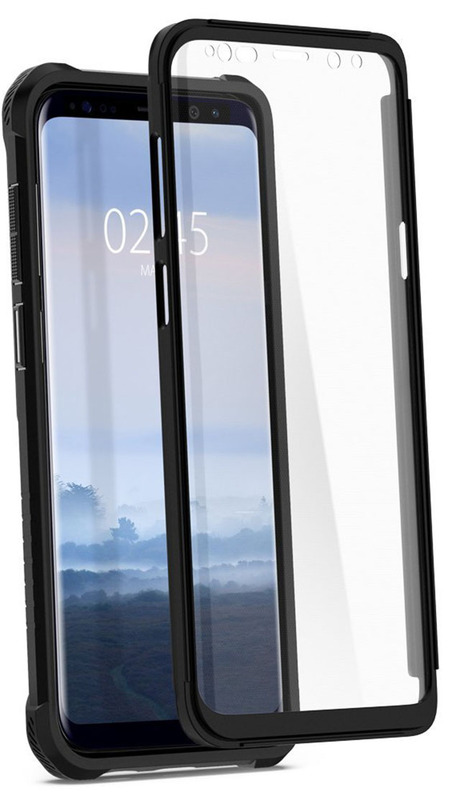 The first cover to make it to the list, and for good reason, is Samsung’s own official Clear View Standing Cover for the Galaxy S9 Plus. Being an official case from the company, you can rest assured about the fit and finish. 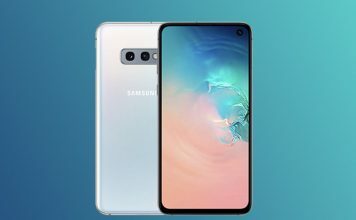 Other than providing a layer of protection over your precious Galaxy S9 Plus, this particular case from Samsung will allow you to interact with your phone through the clear cover. The case even has fingerprint prevent coatings, so you don’t even have to worry about leaving smudges on the clear front. Additionally, the flip-case like design will allow you to use the case itself as a kickstand while watching videos on your phone. 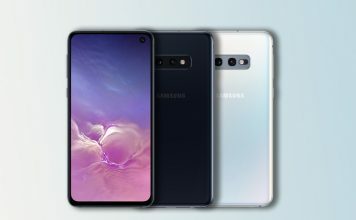 Samsung also has a bunch of other cases to offer which come with their own individual benefits. You can check out all the options in the link below. 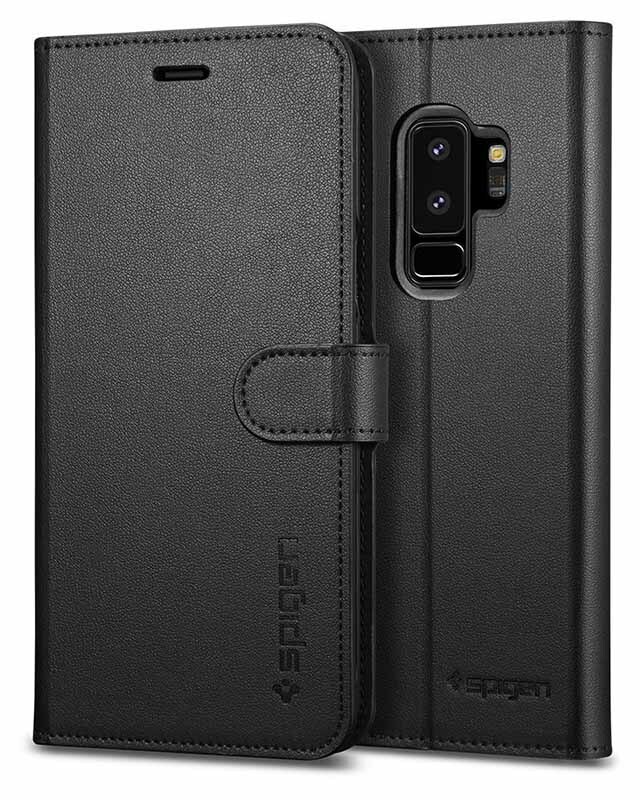 If you’re not a fan of cases and covers like me, but still feel the need to protect your precious Galaxy S9 Plus, you can opt for the Spigen Air Skin case. The minimal and slim form factor doesn’t add any bulk onto the device, which makes it feel like you’re using the device completely bare bones. The case is made of a rigid polypropylene material which can easily protect your protect your Galaxy S9 Plus from minor scratches and scuffs. The all-black matte finish offers fingerprint resistance and gives a classy look to the otherwise mirror finish on the Galaxy S9 Plus. On top of that, the extremely slim design has been optimized to work with wireless charging, so you wouldn’t have to take it off every time you try to charge your device on a Qi-enabled charger. 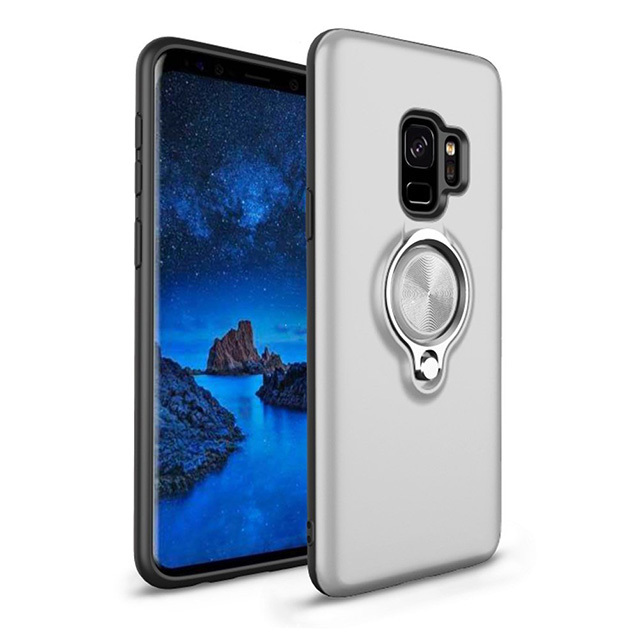 RhinoShield is known for making some great cases and covers and well, their Galaxy S9 Plus cases are no exception. 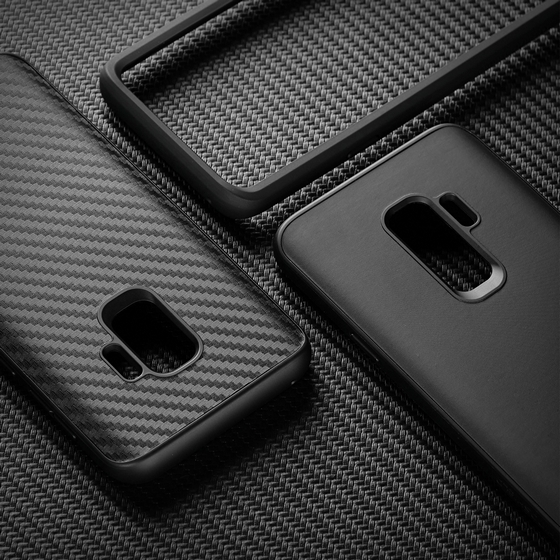 Their SolidSuit cases for the S9 Plus not only offer great protection, they also look great. Firstly, these cases are built using ShockSpread material, which is said to provide over 11 feet of impact protection. Apart from the super protective material, the case features raised lips to protect the beautiful curved display on the S9 Plus. The SolidSuit cases are available in two variants: one with a carbon fiber back and one with a classic black matte finish. Both these cases look great, while also offering great grip, which is important considering the S9 Plus is one slippery device. Also, the SolidSuit cases support RhinoShield’s add-on lenses, which are said to be great. Along with SolidSuit cases, RhinoShield also offers a CrashGuard bumper case, if you want to show off your S9 Plus. RhinoShield ships these cases worldwide, so no matter where you live you can get this case for your device. Note: Beebom readers can get a 20% discount on all RhinoShield products by using the code “BeebomS9“. This code is valid from now till 16th of March, after which you will still get a 10% discount. 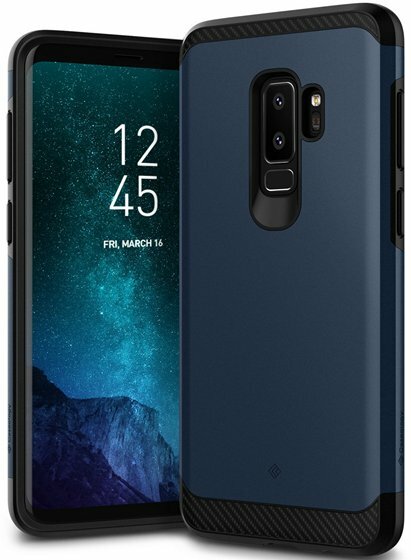 Caseology, another popular case maker, makes some great cases for the S9 Plus, but my favorite of them all is the “Legion” case. 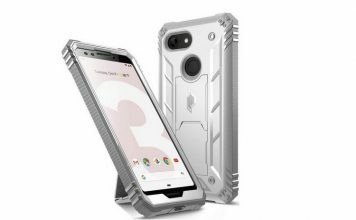 The Legion S9 Plus case brings dual layers of protection, with the case featuring shock absorbing TPU sleeve and a durable PC shell. Plus, the case has a hard cover on the exterior, bringing superb protection, along with great grip. Along with that, the case features precise cutouts for the S9 Plus alongside raised fingerprint sensor bezel for better access to it. While it brings great protection, it’s no slouch when it comes to looks too. The Blue variant looks especially good. Another great offering from one of the best case manufacturer out there, the Spigen Slim Armor CS Case is perfect for those who are looking for a bit more than just a simple case. 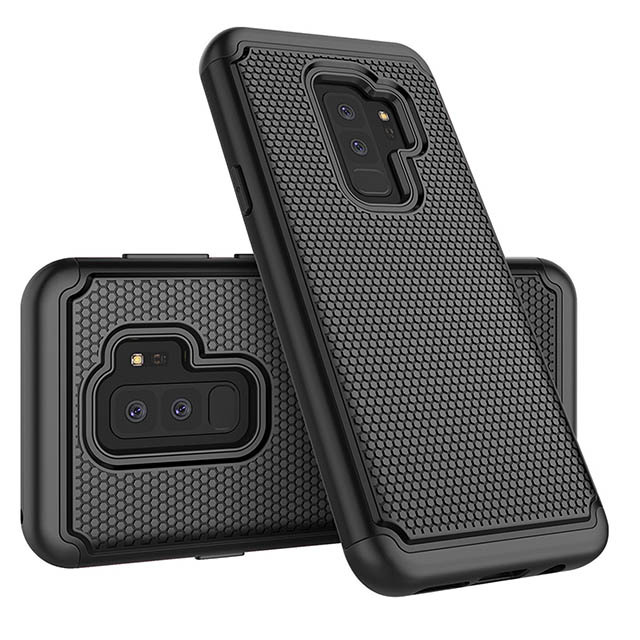 The dual-layer case, which features a shock absorbent TPU layer and a rigid PC layer, adds a whole lot of durability to the otherwise delicate Galaxy S9 Plus. The minimal design keeps the case slim and sleek, while hiding a unique feature within. The Spigen Slim Armor CS Case has a slide-out storage section on the back which can store up to two cards and cash. The section is protected by a secure closure mechanism which will allow you to leave your wallet behind. If slim cases don’t cut the deal for you and you’re looking for even more protection, then the Tekcoo Galaxy S9 Plus Sturdy Case might be what you’re looking for. The dual-layer armored rugged case perfectly fits the Galaxy S9 Plus and offers reinforced protection on the corners and sides. The silicone layer can cushion your device from large drops and the inner honeycomb design absorbs and disperses the shock to keep your device protected. The outer layer features an interesting texture which significantly improves your grip on the device, protecting it from accidental drops in the first place. The case is also available in green and hot pink so you can even spice up the look if you’re not interested in a bland black case. Next up on the list is a Galaxy S9 Plus case that caters to a specific demographic. If you use your smartphone for navigation while driving, the VVUP Metal Car Mount Stand Hybrid case is just for you. 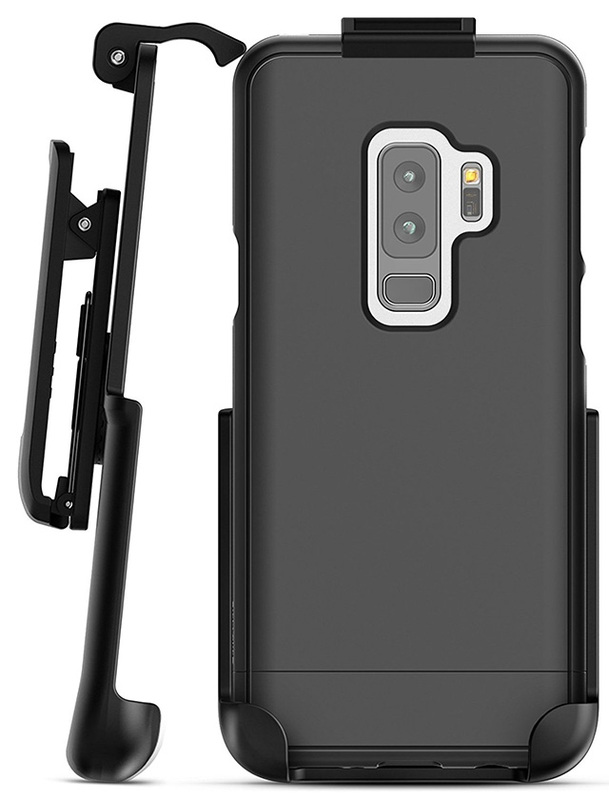 On top of adding durability and protection to your Galaxy S9 Plus, this particular case has an in-built 360-degree ring on the back which can be used to hold 8he phone securely and can even be used as a kickstand while watching videos. Additionally, the case comes with a magnetic car vent mount which you can install in your car. Since the case has a metal ring on the back you can easily drop the device onto the mount every time you take your car out for a spin. The mount allows you to rotate the smartphone freely, so you can choose to use it landscape or portrait while driving. 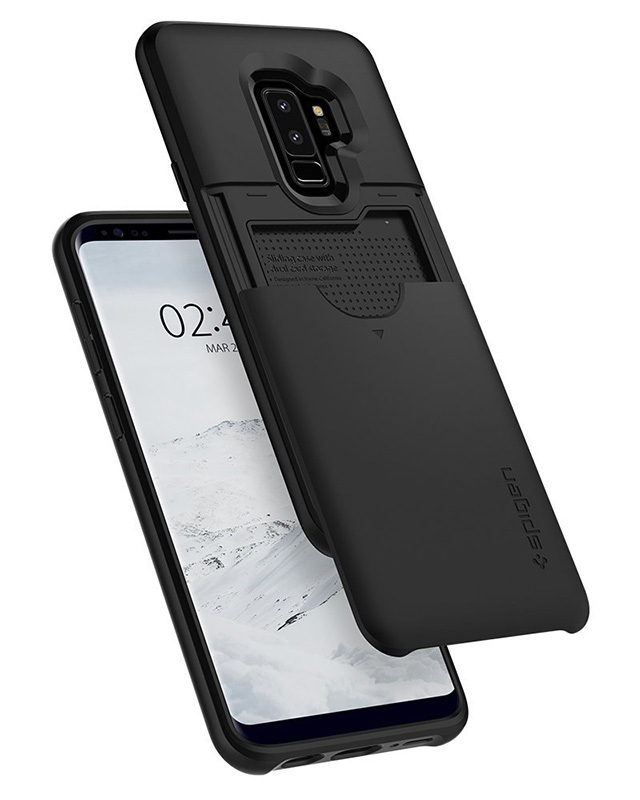 If you plan on going old school with your Galaxy S9 Plus and wear it on your belt while you’re not using it, then you should consider buying the Encased Galaxy S9 Plus Belt case. The case comes in two parts- a non-slip case with accurate cutouts and a reinforced clip holster to attach it to your belt. Built using a strong polycarbonate, the case can easily withstand the occasional drops and if you choose to use the belt clip then you won’t have to worry about drops in the first place. In order to attach the clip, the case features a secure-fit top latch design which allows you to quickly attach and detach your phone from the belt clip. 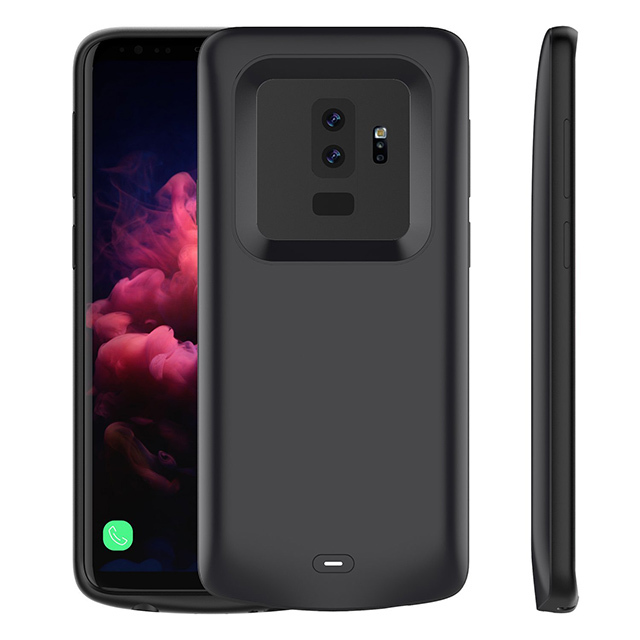 Another great offering from Spigen, the Hybrid 360 Galaxy S9 Plus case, features a unique design which sandwiches the device between two protective layers. The case comes with a PET screen protector surrounded by hard polycarbonate and a clear polycarbonate back cover encased in flexible TPU. The two parts attach on the front and back of the device, providing complete 360-degree protection from bumps and scratches. Another neat addition is the textured detailing on the buttons which makes them easier to differentiate. Spigen claims that the clear parts of the case won’t turn yellow over time and the included screen protector can easily absorb all unwanted impacts on the screen. While some people use a case to protect their expensive smartphones, others use cases as a means to spice up the device’s look. 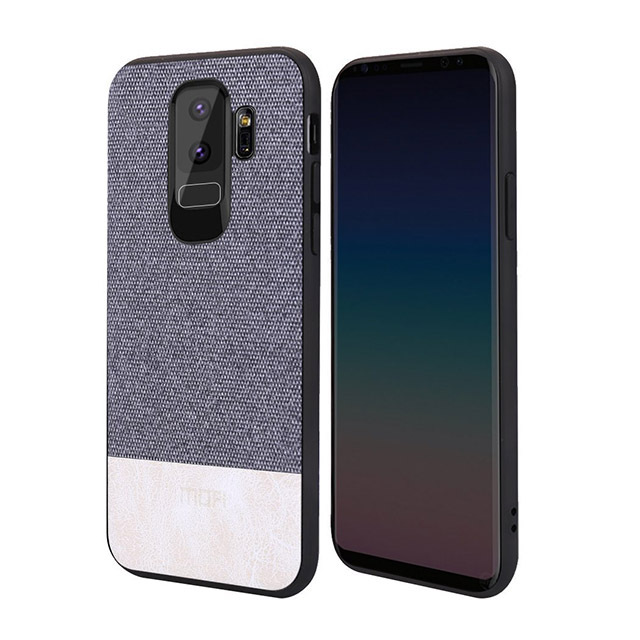 If you’re one of the latter, then the Mofi Galaxy S9 Plus Case with Art Cloth might be what you’re looking for. Not only does the case provide ample protection from drops with the soft TPU bumper, it has a unique dual-material finish on the back which will give your device a sophisticated look. The top part of the back is made of a smooth cloth for improved grip and the bottom is made up of leather which gives the case a premium look and feel. Additionally, the case is available in a couple of color combinations, so you can choose what fits your style. While the larger Galaxy S9 Plus features a 3,500 mAh battery, it might still not be sufficient for power users who are on their phones all day. With the large 6.2-inch Super AMOLED QHD+ display draining out the battery, you might end up looking for a power outlet towards the end of the day. 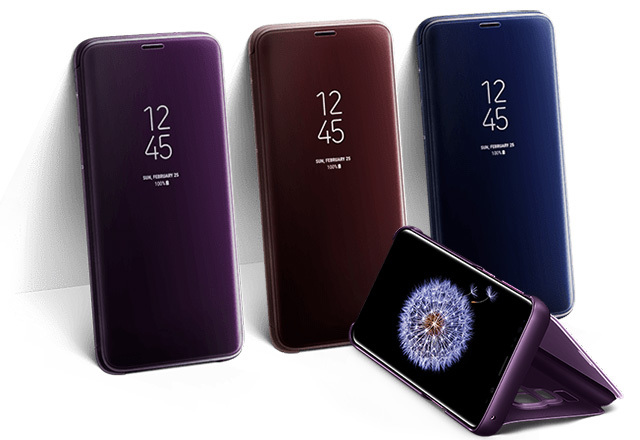 However, if you don’t mind adding on a bit of bulk to your Galaxy S9 Plus, then you should definitely consider the Lifeepro Galaxy S9 Plus Battery case which comes with an impressive 5,200 mAh battery. The built-in battery can easily extend your phone’s battery life by a day, so you can keep on using the device without fear of running out of juice. The case features an LED indicator which lets you know how much charge is left on the battery by displaying four different colors. Lifeepro offers a six month warranty with the case and lifetime customer support, which is a nice addition. If you’re looking for a more traditional flip case which offers a lot of storage for cards and cash, the Spigen Wallet S Galaxy S9 Plus case is just for you. The case, which is constructed using synthetic leather, not only offers protection against scratches and drops, but can also store up to three cards and cash in dedicated slots. The magnetic strap ensures that accessing your smartphone is a quick and simple task and the cover can even be folded into a kickstand if you plan on watching videos. The case also has an inner polycarbonate lining to provide strength and rigidity to the leather design and protect the phone against major drops. The Galaxy S9 Plus is already available for pre-orders and will start shipping from March 16. If you plan on buying the device and need a case to protect it as soon as you pull it out of the box, you can choose one of the aforementioned cases depending on your use case. All of the listed cases will protect your device against the occasional drops, while also providing added functionality like a wallet or a battery bank. Pick the case of your choice from the list and you can ensure that your device remains pristine even months after you first get it.